Malta Maritime Directory :: Azimut Yachts: premiere at the Japan International Boat Show 2015 with two models on the water and an exceptional partner. Comment about: Azimut Yachts: premiere at the Japan International Boat Show 2015 with two models on the water and an exceptional partner. Azimut Yachts: premiere at the Japan International Boat Show 2015 with two models on the water and an exceptional partner. The Italian shipyard reinforces its presence on the Asian markets. Two Azimut best sellers - the Azimut 45 Fly and the Azimut Magellano 53 � are moored at the Yokohama Bayside Marine and will be representing the shipyard at the upcoming Japan International Boat Show. Azimut Yachts will be participating in the next edition of the Japan International Boat Show 5-8 March 2015 in Yokohama with two models moored in the marina. The Azimut 45 Fly and the Magellano 53 are definitely among the best models to demonstrate the Italian shipyard's capacity to propose surprising layouts and styles for medium sized vessels, without compromising comfort or performance. In fact, both yachts are standard setters in their respective categories, introducing innovative solutions that have revolutionised how on-board spaces are organised. A more functional layout has made it possible to increase both the interior and exterior spaces dedicated to guests and storage, ensuring greater comfort, range, and liveability. 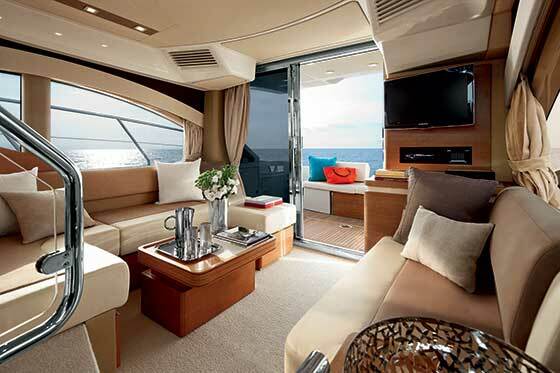 Azimut 45 Fly is the first flybridge to have three cabins, with a queen-sized VIP cabin amidships. It provides guests with a spacious flybridge equipped with a modular area to the stern, a 12 m2 space that changes look and layout with a simple rearrangement of a few elements. An excellent reinterpretation of long range vessels in a modern key, Azimut Magellano 53 - launched in 2013-2014 - is the perfect response to the demand for maximum on-board comfort, ample storage space, and superior range for long crossings, combined with the unbeatable allure of Italian design. 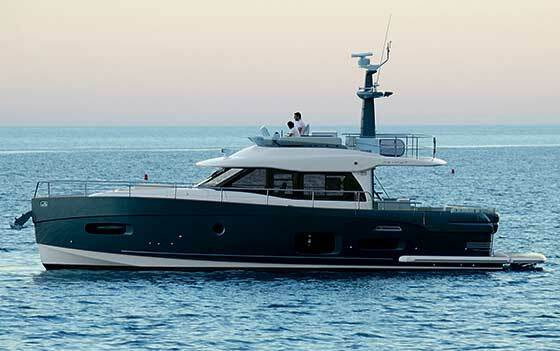 The Italian shipyard has the support of a new local dealer. Yasuda Shipyard has joined Azimut's Service & Customer Care network, especially active in Asia. 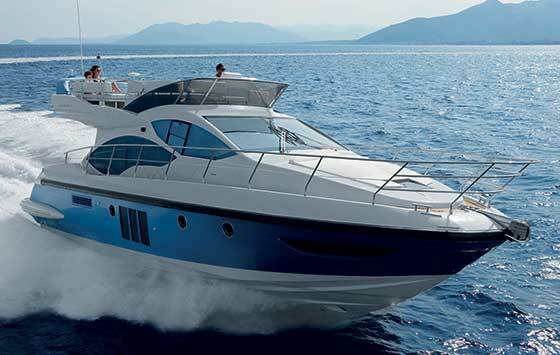 The Asian markets recognise the outstanding Italian quality and style of the Azimut brand, inspiring the company to reinforce its development strategy in the area, paying close attention to the specific needs of local boatowners.